Asphalt Green’s 2017 online auction was one of the most successful yet, raising $60,000 to support our community sports and fitness programs and scholarships. The auction was open December 1 through December 15, and with 156 experiences, gift certificates, sports paraphernalia, and more up for grabs, bidders had plenty of exciting items to choose from. Some of the most popular included a $500 gift card to Brookfield Place and tickets to see Broadway show Hello, Dolly! Huge thank you to all our bidders and local businesses for donating items to the auction. 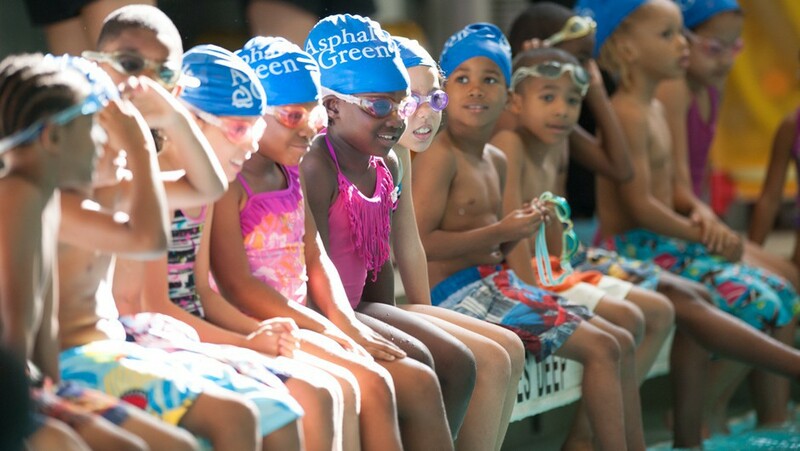 Because of your support, we will be able to provide more kids the opportunity to participate in our free learn-to-swim Waterproofing program, Recess Enhancement Program (REP), and Community Sports Leagues. Plus, the proceeds will allow us to grant more athletic scholarships and expand offerings for our active adults. If you weren’t one of the lucky winners, you can still spread the power of sports and fitness to over 50,000 New Yorkers. Donate today.